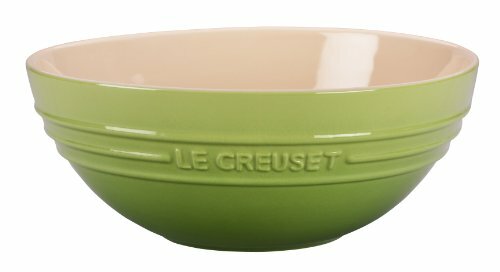 Le Creuset Stoneware Large bowl has 3.1qt. capacity. Le Creuset stoneware serving bowls are available in a full assortment of signature colors and are durable enough for storing leftovers in the refrigerator after a meal. Their distinctive styling features a smooth interior glaze and Le Creuset's classic rings and raised lettering along the side.